With fifteen years under his belt and just as many chart topping singles to his credit, Casey Donahew is giving a gift to the throngs of fans who attend his shows weekly and sing his lyrics back to him and his band at sold-out venues all over the country. 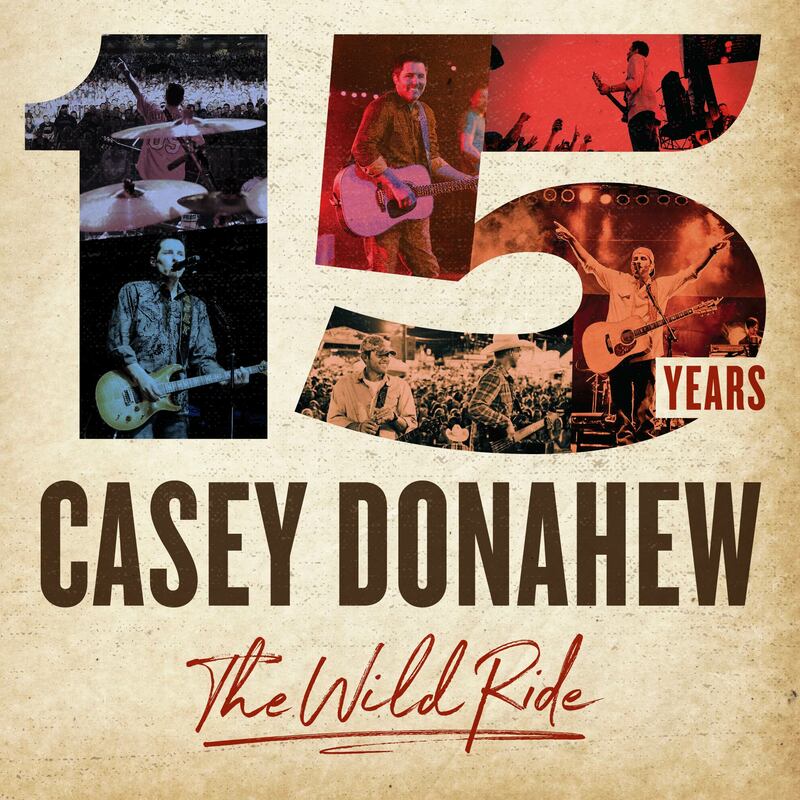 15 YEARS, THE WILD RIDE, produced by Josh Leo and Donahew, releases on October 6th. Fans can PRE-ORDER the new album for $5.99 and get Casey’s anthem “Stockyards” and two other songs immediately HERE. The album offers fifteen of Donahew’s biggest songs to date, including hits like; “12 Gauge,” “Double Wide Dream,” and “Fallen,” one of the first songs he ever wrote. And of course, no Donahew retrospective would be complete without his mainstay singalong hit, “Stockyards,” the ode to where it all began. The album also includes a new recording of “3AM” (Matchbox 20), a staple of Casey’s live set. For Casey, re-recording these songs has offered a chance to muse on just how far he’s come from that first gig at the Thirsty Armadillo, all those years ago, to the packed houses he sings to at iconic venues like Red Rocks and Billy Bob’s Texas today – and all the vivid memories in between. To see Casey talk about his impressive career to date please click HERE.